IN-Q was recently included in Oprah Winfrey's inaugural Super Soul 100 inspiring leaders. He is a National Poetry Slam Champion and multi-platinum winning songwriter who sold-out the largest one-man poetry show in Los Angeles history. His groundbreaking performances include being the first poet to perform at Cirque Du Soleil, as well as performing on Russell Simmons’ HBO Def Poetry Jam, ESPN’s World Series of Poker and for audiences including Quincy Jones, Hillary Clinton and Barack ... Maggiori informazioni Obama. He’s shared the stage with many legendary artists and is at the forefront of the movement to reignite poetry into popular culture. As a songwriter, his #1 hit single “Love You Like a Love Song” by Selena Gomez went multi-platinum, winning him a BMI award. He has also written with renowned artists including Miley Cyrus and Mike Posner. In 2014, he co-wrote the Official Coca-Cola FIFA World Cup Anthem, “The World is Ours.” Visit www.in-q.com and www.facebook.com/inqlife. 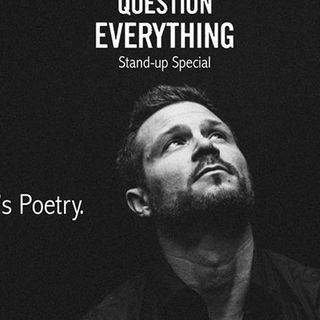 Check out IN-Q’s Special – “IN-Q Question Everything” at https://vimeo.com/ondemand/inqquestioneverything.